This two-ply, standard toilet tissue provides quality you can trust at a value price to help you stick to your budget. Soft and durable, GEN toilet paper is ideal for any home or office on a budget. Each roll has 500 sheets. 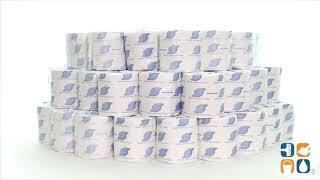 One carton includes 96 standard toilet tissue rolls so you will never run out. Order yours today. Buy in bulk for your business and save more! This is used in our commercial property by multiple tenants. Great quality for a great price! Toilet paper supplied for our entire building. Use it everyday & is a good product.